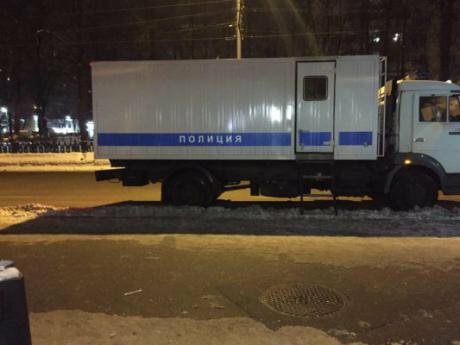 The police van which took away Yelena Gorban, who was later released. Source: Maxim Papkov / OVD-Info.On 31 January 2018, unknown persons conducted a protest action outside a United Russia office in a Moscow suburb. During the protest, a window was broken and a smoke grenade tossed inside the office. Yelena Gorban and Alexey Kobaidze were arrested on 14 February on vandalism charges. On 14 March, Svyatoslav Rechkalov was detained at his home in Moscow. As Rechkalov stated to members of the Moscow Public Monitoring Commission, he was tortured in the process. As part of our coverage of the torture campaign against Russian anti-fascists, we publish a statement by Rechkalov below. On 14 March, between six and seven in the morning, armed police burst into my apartment. I woke up from the terrible noise — someone was trying to break down my door. A minute later, the door was down, and I was face down on the floor with police officers armed to the teeth. Afterwards, agents from Centre E (the Centre for Combating Extremism) entered. They called me “the leader of the anarchists” and accused me of organising an anarchist movement and protests in Moscow and across Russia. The pretext for the search was an anarchist action against United Russia, which happened at the end of January. During the action, a window at the party offices was broken, and a smoke grenade was thrown into the office itself. I wasn’t involved in the action at all. This is reflected in the criminal case, where it says that I am guilty of publishing a video of what happened in an online group called “People’s Self-Defence”, thus “striking a criminal agreement” with participants in the action. In reality, I didn’t publish any videos and I found about the action from the press. But the suspicion was enough for a storm by armed police. The Centre E agents tried to convince me either to admit organising an anarchist movement or to “surrender everyone”. After I refused, armed police tied my hands behind my back with cable ties, covered my eyes with black tape and put me in the trunk of a minivan, before driving me round the city for a while. After a few hours, and having being transferred to a police car, I was returned to the minivan. Here, they put a bag on my head, cuffed my hands behind my back and tortured me with a taser. Svyatoslav Rechkalov. Source: Project 117. During the torture, I was asked various questions about the anarchist movement. They demanded that I name myself as the leader of the “People’s Self-Defence” anarchist movement, and the organiser of all the anarchists’ actions and campaigns which had happened recently. They also demanded that I name other people who they could use as participants in the “People’s Self-Defence” anarchist community. In the end, under torture, I agreed to incriminate myself by saying that I did organise regional groups of anarchists, but that I did this via the internet and messengers, and that’s why I couldn’t name anybody concretely. They then demanded that I give this testimony before an investigator. If I didn’t, I was threatened with continued torture, worse torture, and being included in “The Network” case, as well as facing unbearable conditions in pre-trial detention. At the beginning, when I was still reeling from torture, I gave testimony to the investigator that I had organised the “People’s Self-Defence” movement to fight against apartment raiders and bad employers, and that I was one of the administrators of the community, but that I hadn’t published any video, as I’m only interested in things to do with fighting gangsters and people involved in extortion. However, when the Centre E officers, with the investigator present, began to threaten me with further torture and demanded that I incriminate other people, calling them active members of the movement, I refused to give any further testimony. The investigator did not react correctly to my statement that I had been tortured and required legal counsel. 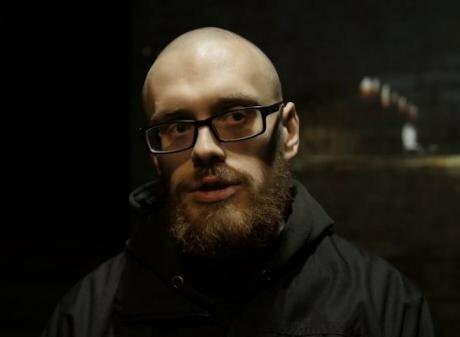 After I was released from the temporary detention centre, where I was kept for two days after the interrogation, I had no further contact with the police or FSB, although I remain a suspect in the United Russia office case. I don’t believe that the FSB were at all involved in my torture. I’ve read how the FSB has tortured anarchists in Penza, Petersburg and Chelyabinsk, and as it seemed to me, that was uncomparably worse than what I went through. Although in my case, there were similar conditions to what happened in Petersburg — a minivan, bag on my head, handcuffs and taser — I think that this was done more to scare me and affect my mental state. When anarchists are brutally tortured in a fabricated case, all the free media write about it, and you are then faced with similar circumstances and are tortured under threats of being connected to “The Network” — this affects your mental state. Although it was rather painful, the FSB, I believe, works completely differently, more brutally. It’s more likely that Centre E realised that, given that anarchists are facing torture from FSB and fabricated “terrorist” cases, then torture can be used in more normal, less sensitive political cases against anarchists. What’s more, if the FSB tortures anarchists, and everybody knows about this, and nothing happens to the FSB as a result — then this is a signal to other law enforcement agencies who encounter anarchists. Thus, “The Network” case has become a precedent that can be used by any law enforcement agency in the campaign against anarchists — you can blackmail people with threats of involving them “The Network”, copying the FSB’s tactics down to the slightest detail. Why did they call me “leader of the anarchists”? It’s best to ask Centre E themselves. I think that there’s a desire here to suppress any resistance to the regime. If the anarchists have been active in recent months, that means we have to identify someone as the “main anarchist”, carry out show repressions. Why me? I can only make assumptions, some hypotheses. I’m not a public figure. Of course, I can make assumptions, but they will remain just that, assumptions. Indeed, there were a lot of protests in February — in Chelyabinsk, local anarchists “attacked” the FSB office with a banner and smoke grenade. In the centre of Moscow, an unsanctioned anarchist demonstration was held near the Lubyanka. There were many other protests, an attack on the United Russia office. And this starts to worry the Centre E guys: “We’ve got elections coming up, everything should be quiet, and then there’s all this going on. We need to sort it out.” And so they sorted it out. They have to account for themselves to their bosses that they’ve carried out searches, arrests, the “leader of the anarchists” has been arrested, the whole dangerous network has been neutralised, and the elections are safe. If there’s reports on their successes, then the bosses can see that the agents aren’t just sitting around, and can take that to their higher-ups — see, the appropriate measures have been taken ahead of the elections. For me, the logic behind this was like this. As to why they tried to make me the leader, ask them. Perhaps they went for the first person they found. Perhaps my own activism played a role — fighting gangsters, raiders, people who extort money. There’s no complete anonymity here, you have to meet people who’ve suffered, sometimes journalists or the police (who the gangsters call themselves; we never, on principle, call the police). You have to bring a lot of people to these events, and even if you’re not a public figure, a lot of people see you, know you, and all of this could, from the outside, look as if I was in fact some kind of anarchist leader. So it was you who said a load of people should go somewhere and they went? You must be an organiser. Finally, before the search, representatives of one movement, which hates anarchism, shared information about me as if I was the “leader of the ‘People’s Self-Defence’”. I don’t know why they did that, perhaps, they made a silly mistake, or perhaps it was a pretext so my information could be entered into the criminal case. The Centre E guys can’t just make up a leader, in fact. They have to have some information they can attach to the case. And here there’s information in the public domain. You just write “according to information from this website, Reckhalov could be a leader of anarchists and organise extremist activities”, you attach it to the case, and then “check” the information. This all assumptions, of course. Only Centre E really knows what criteria are necessary to become an “anarchist leader”. But on the whole, throughout this whole situation, the incompetence of Centre E became obvious to me. I think they just went for the first person they found. Or they saw it on the internet. I’m also accused of vandalism, but obviously they can’t connect me to the United Russia action at all. More likely is that this charge will be used against me as a “hook” to keep me visible until they dream up a new charge. They made it clear to me that, if they’re lucky, they’ll try and make me an “organiser” who wrote anarchist propaganda texts online, and people — under their influence — carried out some kind of protests. Why was I the only one tortured out of the anarchists who were detained? Well, the security services have a special relationship with anarchists, particularly with “The Network” case. And if they did really believe I was an “anarchist leader”, then that could completely explain the torture. If they just went for the first person they found, then it’s more obvious: without torture, no clear-thinking person would admit they were an “anarchist leader”. Besides, I’m not really sure that I’m the only person who was tortured on that day. There was information in the media about a whole range of anarchists being detained on that day. And there wasn’t any more information about them after that — only that the rest of them were released, and I remained. And in my case, the information about torture only came about when I managed to tell people I knew, and they raised some noise in the press. If I hadn’t had done that, perhaps no one would have known about my torture. So I wouldn’t make claims about other people being tortured or not. In any case, I’m the only one who’s made it public, I don’t know what’s happened to other people.